Earning a Bachelor of Science degree in aviation not only prepares you for a career as a pilot or in aircraft maintenance, it also trains you to become a leader and excel in the workplace. Whether your interest is sitting in the cockpit, or learning the intricacies of maintenance, you’ll find a place in our exciting program with first‑rate facilities, aircraft and instructors. Learn from the best in one of the proudest and long-standing programs in the nation! 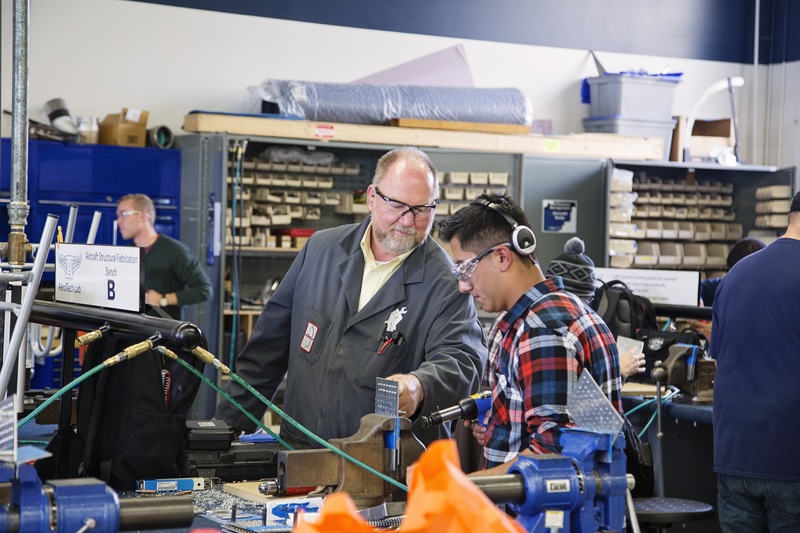 This program provides students with opportunities to work closely with professional instructors and gain an in-depth understanding of aircraft structures, maintenance and systems. You will graduate from this program with a bachelor of science degree and meet the Federal Aviation Administration’s (FAA) requirements to test for FAA Airframe and Powerplant licenses. 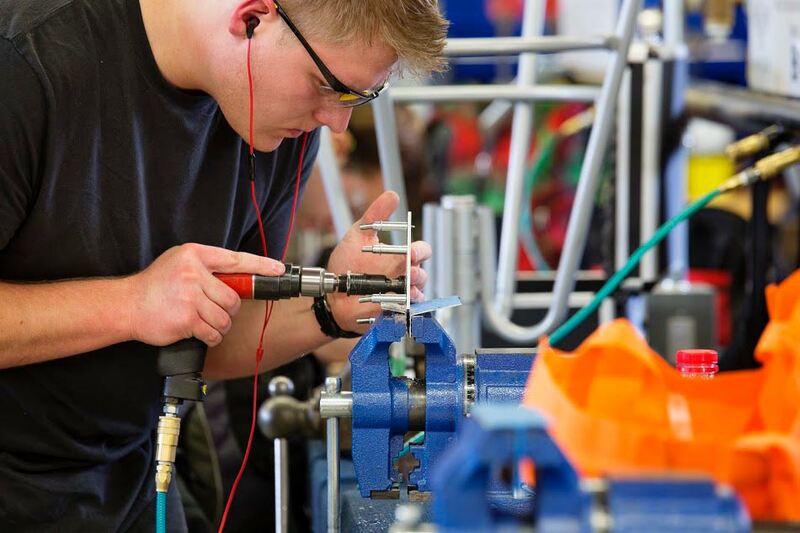 Students in this program study hydraulics, aircraft systems and components, aerodynamics, and aircraft structure manufacturing and maintenance. Management and technical courses are incorporated into the program to provide the essential skills you needed for success in the aviation industry. The Aviation Technology program has partnered with some of the top airlines to provide internship opportunities for junior and seniors. These internships provide students with valuable experience and many receive job offers prior to graduation. The coursework will have you prepared for employment in the airline industry’s maintenance management, or a career in corporate and general aviation. Other employment opportunities include fixed-base operating, FAA inspection and aircraft and component manufacturing. This program will prepare you for a safe and successful career as a professional pilot. This program is designed for students pursuing careers as airline pilots for charter, commuter or commercial airlines. The program also prepares students who desire to operate their own aviation-related business. 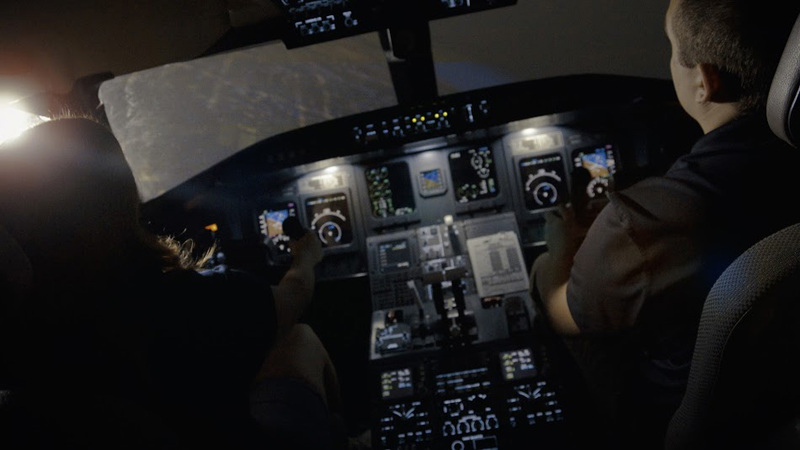 Freshman and sophomores take courses to develop flying skills and gain a background in aviation. Juniors and seniors spend the majority of their time preparing for careers with courses in commercial certification, airline management, and aviation law. Students complete 250 hours of flight and obtain essential certifications and ratings prior to graduation. Customize your education by choosing an emphasis in fixed-wing or rotorcraft. The fixed-wing emphasis involves training in airplanes, while the rotorcraft emphasis focuses on helicopters. Students in both emphases train with state-of-the-art aircraft equipped with the latest instruments and navigation technology. Upon graduation, students are prepared for employment in the airline industry as captains, pilots, flight instructors, airport operators and aerial firefighters. 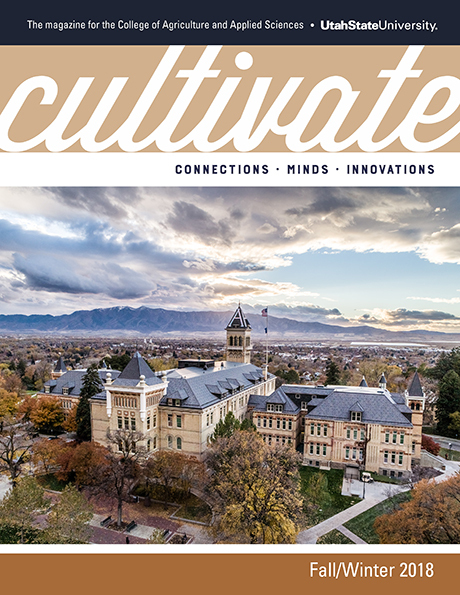 Involve yourself in learning about the technology that affects and improves lives through a partnership with Utah College of Applied Technology.